While the expansion of community-based facilities is a welcome development for inner cities and rural settings where most are located, it is not without challenges. 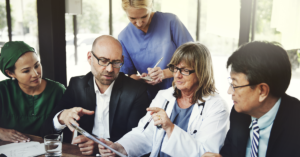 The National Association of Community Health Centers (NACHC) reports that 95% of health centers have a clinical vacancy and 70% are reporting a physician vacancy. These trends are even more concerning when you consider that by the year 2020, CHC’s are expected to be managing the care of 35 million patients. Unfortunately, this is becoming the new reality for community health centers, and it is forcing administrators to rethink the FQHC model and adapt to become more competitive in recruitment and retention. In the past, community health centers could utilize desirable work schedules and quality of life incentives to attract physicians to practice there. Typically, CHC’s would offer attractive schedules, little to no call, better work/life balance and other similar enticements. Whether it was the slower pace of a quiet rural community or a consistent 9 to 5 schedule in an urban setting, physicians would often forgo some salary in exchange for quality of life. Today, physician recruitment and retention is so competitive, that CHC’s no longer have exclusivity with convenient work schedules, limited call, and other attractive incentives. Large hospitals and major health systems have the financial resources to not only offer salary incentives, but student loan forgiveness, favorable work schedules, and so much more that smaller CHCs cannot compete against. All of these developments are increasingly putting more and more pressure on CHC administrators to adapt. Many health centers are expanding partnerships and residency programs with local universities to introduce graduating physicians to their systems and potentially attract them to stay on after graduation. Another strategy has been to become even more creative in making work schedules as flexible as possible, including generous leave packages, allowing physicians to focus on limited types of preferred services, part-time work, and more. These types of creative solutions are made possible through the increased use of nurse practitioners. Another advantage that community health centers may have over large systems is a close-knit sense of family and teamwork. By promoting the values and culture of the CHC, administrators are able to attract like-minded physician candidates. CHC’s are rebranding their organizations, enhancing their social media messaging and online presence, and ensuring that candidates are a good fit culturally and have similar values to the organization. There is no magic solution to physician recruitment for small urban and rural community health centers. It takes a combination of best practices to ensure that not only are the right candidates aware of vacancies but that no stone is left unturned in their pursuit. This includes having a network of relationships throughout the community acting as an extension of your recruitment team. Whether it is to learn about family members who may be pursuing a career in healthcare, or currently practicing clinicians who may want to return home to be closer to family and friends, the local network is a goldmine for information. 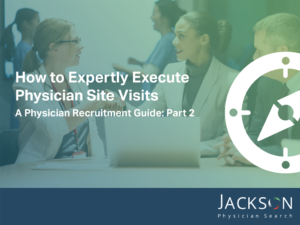 Jackson Physician Search has the expertise and nationwide reach to help solve even the most challenging physician and advanced practice recruiting situations. To find out more, contact a recruitment professional today.